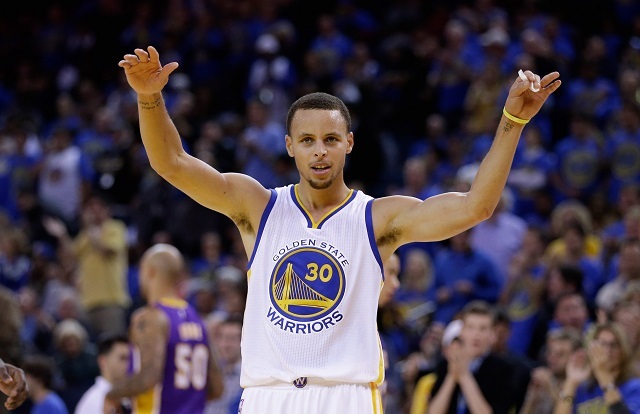 There were many reasons to be pumped for the 2015 NBA Finals. The matchup between the Golden State Warriors and the Cleveland Cavaliers had everything that sports fans could possibly want — two of the game’s biggest stars, two first-year NBA coaches going head-to-head, and two clubs that knew how to bring it on both ends of the floor. However, while we can honestly say this is the series we were hoping for, there’s no way we could be more excited than the people of the Bay Area. After all, it had been 40 years since the Golden State Warriors made it to the NBA Finals. For the first time since 1975, the Warriors would find themselves in a position to win the NBA championship (Spoiler Alert: they won). That is crazy to think about. It’s one thing to have never tasted victory; you still crave it, but you’ve never had the chance to experience it before. It’s an entirely different thing to have been in the finals before, and then have to wait four decades for another opportunity. That’s a lot of pain, suffering, and letdowns. That’s a lot of “close but no cigar.” That’s a lot of “almost.” But that’s over now. Golden State finally made it back to the NBA Finals. The 40-year wait was officially over. Of course, Golden State isn’t the only franchise to ever experience a lengthy drought between finals appearances. This just goes to show how difficult it is to not only win an NBA championship, but to get to the final series. It’s not surprising to learn that other organizations have suffered the same agony as the Warriors, but it is interesting to see how long these clubs went without experiencing the finals. With that in mind, here’s a look at the three longest droughts between title game appearances in NBA history. The New York Knicks would make it to the NBA Finals during the 1972-73 season. That group, led by Bill Bradley, Walt Frazier, and Willis Reed, came out of the conference as the East’s No. 2 seed. In a battle of storied franchises, the Knicks took on the Los Angeles Lakers — a team with Jerry West and Wilt Chamberlain — and managed to defeat their Western foes in five games. After that championship, New York would have to wait over two decades before it had the chance to compete for another one. During this 21-year drought — prior to the 1993-94 season — the Knicks would only make it to the playoffs on 12 separate occasions. Unfortunately, this franchise would only play in two Eastern Conference Finals. 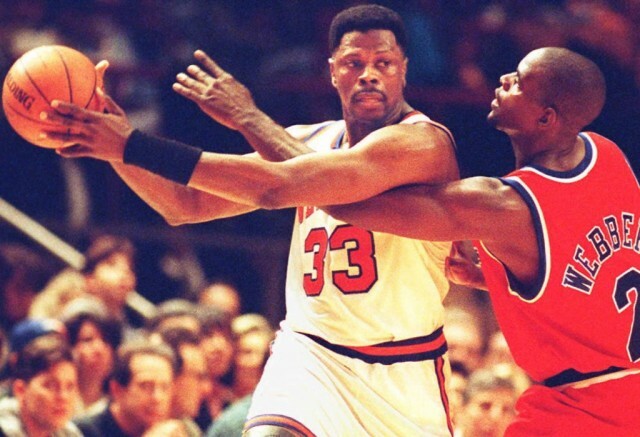 Of course, the curse ended during the 1994 postseason, when the team led by Patrick Ewing [pictured above] and John Starks got over the hump by besting the Indiana Pacers in seven games in the Eastern Conference Finals. Still, this run wouldn’t end cheers and champagne, as the Knicks would fall to the Houston Rockets in the NBA Finals. Like the New York Knicks, the Boston Celtics would also suffer through a 21-year drought between NBA Finals appearances. This had to be difficult on a fan base and organization that were so used to success. After all, this was a franchise that won eight consecutive titles from 1959-66; a feat so impressive, that even legend Bill Russell didn’t realize it until much later. Yet, this organization had to wait 21 years — following its defeat in the 1987 NBA Finals — before it was able to not only reach the last series, but finally add another banner to the rafters. With Doc Rivers calling the shots, the new Big Three of Paul Pierce, Kevin Garnett, and Ray Allen took the Eastern Conference by storm. With energy, intensity, and unrivaled chemistry, this group led the charge to the 2008 NBA Finals. After dismantling Kobe Bryant and the Los Angeles Lakers in six games, the Larry O’Brien championship trophy, once again, belonged to the Boston Celtics. It had been so long since the Pistons had reached the NBA Finals, that the last team to do it — in 1956 — was actually called the Fort Wayne Pistons. 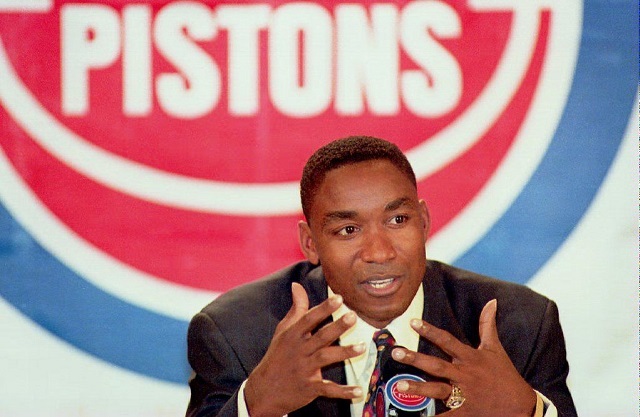 But after a 32-year wait, the 1987-88 Pistons finally managed to get over the hump. These Bad Boys Pistons, coached by Chuck Daly and led by Isiah Thomas and Joe Dumars, took out the Washington Bullets, Chicago Bulls, and Boston Celtics, on their way to a date with destiny against the Los Angeles Lakers. Unfortunately, this trip did not end in elation for the Pistons. The Lakers would come out victorious in seven games. However, this would prove to be nothing more than a minor road block for the Bad Boys, as they wound up winning the next two NBA championships. The last time the Golden State Warriors made an appearance in the NBA Finals, was all the way back in 1975. Like this current team, the 1974-75 Warriors played excellent offense and formidable defense. They averaged 108.5 points per game (1 of 18) and were the second most offensively efficient team in the league, with an offensive rating of 100.4. 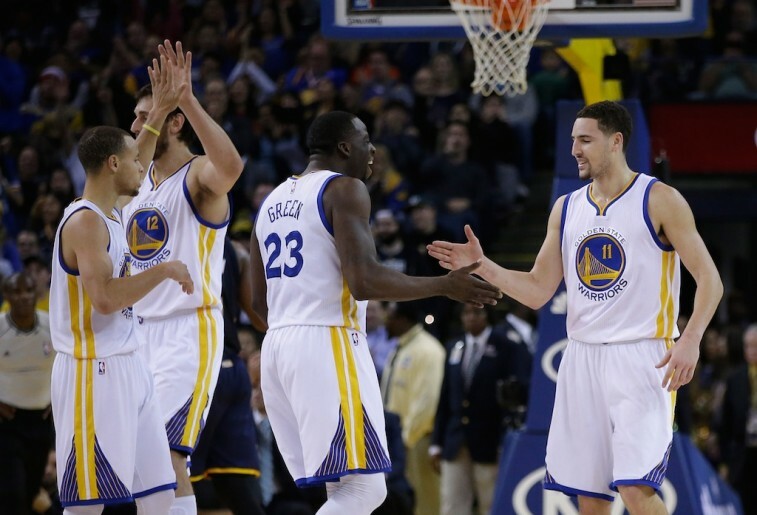 On the other end of the floor, Golden State was a top five defensive and had a rating of 97.3. With sharpshooter Rick Barry leading the way — he averaged 30.6 points per game in the regular season that year — the Warriors went on to sweep the Washington Bullets in the NBA Finals. After a 40-year wait — the longest drought between Finals appearances in NBA history — Stephen Curry and the rest of the 2014-15 Golden State Warriors had a chance to bring a title back to the Bay Area, and do so they did, beating a shorthanded Cleveland squad that still featured LeBron James. All statistics are courtesy of Basketball-Reference.com, ESPN.go.com, and Elias Sports Bureau.